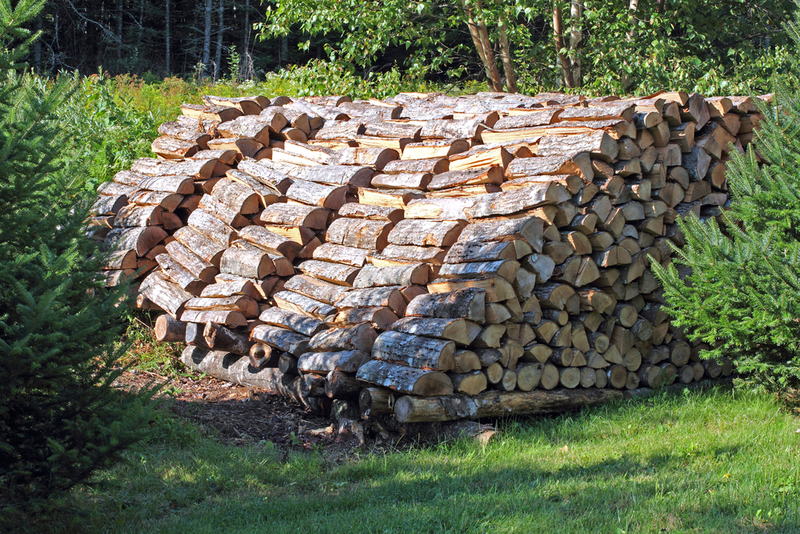 Jay asks: Why do we measure firewood in cords? Because that’s the way we’ve always done it; well, at least since the 17th century (more below). And as creatures of habit, once we start doing something in a certain way, we have a very difficult time changing it. This is true with daily routines, work protocols and, yes, uniform standards of measurement. Those innovators of the last quarter of the 20th century couldn’t be more wrong. We still buy milk and gas by the gallon, beer by the pint, and determine how much we need to lose in pounds. So, since they’re here to stay for the foreseeable future, maybe we should just own them and get to know the roots and whys of some of our weird units of measurement. Using the word as a unit of measurement, “cord” is traced back to the 1610s when wood was sold in bundles tied with a, you guessed it, cord. 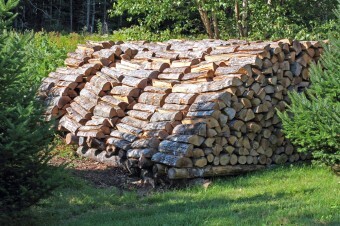 Today, it is well recognized that a cord of firewood must take up 128 cubic feet, traditionally in a stack 8′ x 4′ x 4′. As with other units of measurement, the size of a cord of wood is typically regulated, either by a state or national government. A measure of depth, fathom is derived from either or both the Old English word faeom or the Old Saxon word fathmos, both meaning the length of the outstretched arms. Like the other measurements, it was eventually standardized, this one to the length of two yards, which is approximately how far it is between the tips of a man’s fingertips when his arms are extended. Although international nautical charts have converted to meters, in the United States, measuring depth with fathoms and feet is still in vogue. Derived from the old French words boissel and boisseau, a bushel is a measure of dry goods, typically grains, equal to about eight gallons (or four pecks). Today, it is most commonly used to measure things by their weight, and that weight varies depending on the commodity measured. Typical goods sold by the bushel (and their weights) include oats (32lb), malted barley (34lb), corn (56lb), wheat (60lb) and soybeans (60lb). How many pickled peppers did Peter Piper pick? It turns out, by peck, Peter picked about two gallons worth of peppers. Peck probably derived from the Old French, pek or picot, and is also a measure of dry goods or commodities. Some retailers, farmers at markets and roadside stands still sell fruits and vegetables by the peck, particularly during canning season; however, it is much more common today to find them sold by either the quart or the pound. Know has been uses to measure the speed of a ship since the 1630s. Knot derives from the word of the same spelling meaning “intertwined ropes”. To measure speed back in the day, a long rope had knots tied regularly, about every 50 feet, and a log tied to the end. The log was dropped into the water and a sandglass upended at the same time to time how many knots per time unit. Eventually, the speed of one knot became standardized at one nautical mile (6076 feet) per hour. The baby of the bunch, the measurement Mach was named after Ernst Mach and coined in 1937. Not really a measure of speed, the Mach numbers represent the ratio of the speed of an object moving through a fluid (a gas, like the atmosphere, can be a fluid here) and the local speed of sound. With Mach numbers between 1.2 and 5, supersonic vehicles like the F-104 Starfighter and the Concorde travel at speeds between 915 and 3840 miles per hour. When the Space Shuttles re-entered the atmosphere, they initially traveled at a speed greater than Mach 25! From Russ Rowlett at UNC Chapel Hill: the inch was originally the width of a man’s thumb. Foot and feet, you can guess. The yard was the distance from the tip of the nose to that of the middle finger on an outstretched arm. One thousand paces of a Roman Legion was a mile, and the Romans also invented the pound, although for them, it was 12 ounces instead of 16. From the Latin word leuga, league began to be used in the 14th century as a distance of about three miles. It was first defined as the distance a person could walk in an hour, or how far a person standing at sea level could see into the distance. And, yes, Jules Verne’s 20,000 Leagues Under the Sea is about twice as deep as the deepest known part of any ocean, Challenger Deep (at 36,000 feet). But, of course, the “leagues” here is referencing the distance traveled rather than the depth as the title seems to imply. Measuring about 220 yards, a furlong derives from an Old English word, furlang, and was originally the length of one furrow in a common field (about 40 rods, each just over 5 feet long). In the 9th century, it was standardized to be the same as a Roman stadium, one eighth of a Roman mile (4854 ft.). A depth of 20,000 leagues would be 60,000 miles, not feet, and that would make it about 9000 times deeper than the Challenger Deep. Such a depth is impossible on earth, unless maybe you meant it was up in orbit at an altitude of about 52,000 miles. I recall very few highway signs displayed km. the term 20,000 leagues under the sea refers to the number of leagues travelled while under the sea, not “an expedition to a point that is 20,000 leagues below the surface”.